Many new businesses make some pretty big mistakes in the website department. While we all make mistakes at one point or another the time to change those things is now. 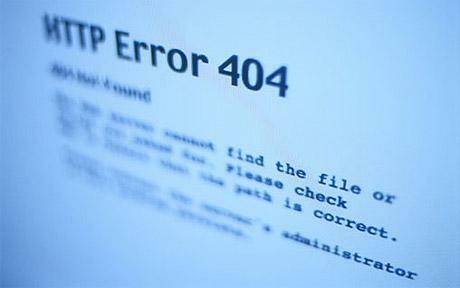 These website errors could be costing you customers, and we all know that customers are the literal founding point of any business. If you notice that your website is or is not doing one of these things, get to fixing it right away- before you lose anymore customers. The second someone comes onto your site they should see a value proposition. What does that mean? It means that they should immediately be presented with information that tells your customers what makes your company so special. Whether you have an innovative product, fast delivery top notch customer service…whatever makes you stand out should be right there in front of your audience. Without clear value your customers are likely to quickly forget all about you and your company. They will have no real reason to purchase from you either. If you are like every other company then why wouldn’t they just go somewhere else? If customers are not given a call to action they will have no idea what they are supposed to do. Tell them what you want them to do! It makes everything so much simpler. A single call to action per page is enough, and your front page should hold the one which is most important. What are you working towards right now? Email subscribers, Facebook fans, more blog interaction? Share whatever it is on your main page. On the other hand, too many call to actions will also leave your customers without any idea of what they are supposed to do. Too many competing items can confuse and frustrate your readers so keep it to a one per page maximum. Also avoid flashing lights and blaring whistles. Your customers aren’t stupid- they can find the call to action all by themselves. Ease of use should always be a top priority. If your customers are unable to easily navigate your site then there is no way they could buy even if they wanted to. A top menu with drop down boxes is the best way to organize your content. Incorporating a search box and a category list can also help to improve user usage. Think about it like this: if you had never visited your site before, would you be able to find all of the information you needed? If your answer is yes, that’s great! You’re doing the right things. If your answer is no, however, it is time for a serious reboot.